Hi! Welcome to JanzCrystalz Handcrafts! I'm January the artisan wannabe behind this handmade blog that specializes swarovski inspired jewelries. Wonder how I started creating handmade jewelries? Well, it started way back in 2006 when I was still working in Metro Manila. I was exploring Quiapo one time and saw a man making jewelries by twisting and cutting wires. Curiosity had hit me, I watched him earnestly and was fascinated how he was able to create something beautiful in just few minutes. I told myself I can do that too, on the spot I bought pliers, wires and few stones to practice. From then on I started making simple jewelries. Since I'm a corporate slave, a working mom and had no one helping me to do these stuffs thus, I only do ordered pieces coming from my sister-in-law who is a high school teacher and from friends who have known my craft. The pieces featured or posted here in my blog we're all pre-ordered and sold out items. Maybe when I can find time to do more designs hopefully I will be able to sell it online. And I do hope people will have a peek and purchase even a single piece. lol. Thank you for visiting and following my handmade blog. Hope you can visit my other blogs too namely; Life's Concealed Details, Deliciously Spicy Moments and 36 Weeks After. By the way I created a Facebook Page for JanzCrystalz Handcrafts hope you can follow and like my page too. Thanks so much! Hi Jan it's me again, following you using another account, for bustling bangkok. 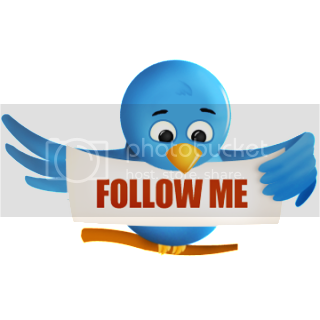 hope you could follow back! sorry my new gfc doesn't have a photo yet. wow! your so talented.. i want to learn how to make jewelries too. Thanks for following.. im following you back too! I like handmade stuff :) but don't know how to make jewelry..maybe i can learn from you. dropping by from WBFC and followed you at GFC! Followed you here using "Pinay Mommy"!! visiting late from WBFC. followed you as crazyme and liked your fb page as well.